Pretty in Primal: Happy Thanksgiving! Thanksgiving is possibly my favorite holiday because it revolves around food, and also because I have great people to spend it with. As most of my family live in other states, we always go over to some friends' house (my mom, who lives here in Nashville, goes there too) and we have a small crowd and amazing food. It's always relaxing and fun, for which I'm truly thankful. I thought I'd give a quick rundown of my Thanksgiving feast plans. Some of the food is Primal/Paleo and some is just gluten free, as it's a cooperative effort with a number of us doing cooking duties. 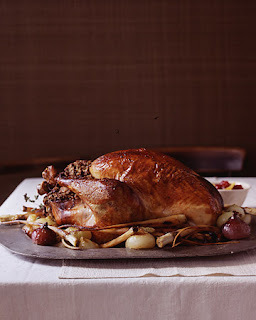 For the perfect turkey, we brine it and roast it upside-down so the juices flow into the breast. This really helps the white meat to be moist. We'll probably use Martha Stewart's turkey roasting recipe this year. We've used it before and it's simple and amazing. 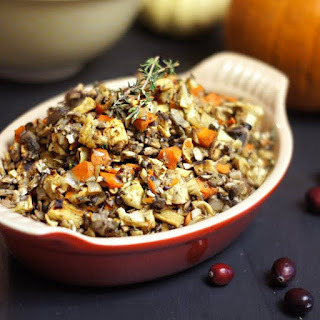 While my mom is going to make traditional gluten-free stuffing, I'm also going to make this parsnip and mushroom grain-free roasted veggie stuffing (mine won't be low fat, though). I may add some wild rice cooked in chicken broth to jazz it up even more. My friend is making gluten-free pumpkin pie (if I was making it, I'd do a coconut flour crust). I'm making my apple spice cake, which I'll serve with fresh whipped local grass-fed cream. So much better than regular heavy whipping cream! I always make whipped cream with NuNaturals Stevia NoCarbs Blend and no one knows it's sugar-free. Seriously, that stuff is good and not icky. I also use it in the apple cake, so at least one of the desserts won't be high in sugar/carbs. 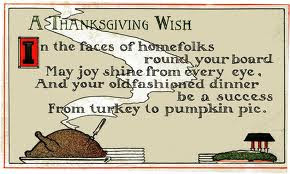 I hope you all have a wonderful and delicious Thanksgiving feast! Happy Thanksgiving! !